Sacagawea was a Shoshone interpreter best known for being the only woman on the Lewis and Clark Expedition into the American West. Sacagawea, the daughter of a Shoshone chief, was born circa 1788 in Lemhi County, Idaho. 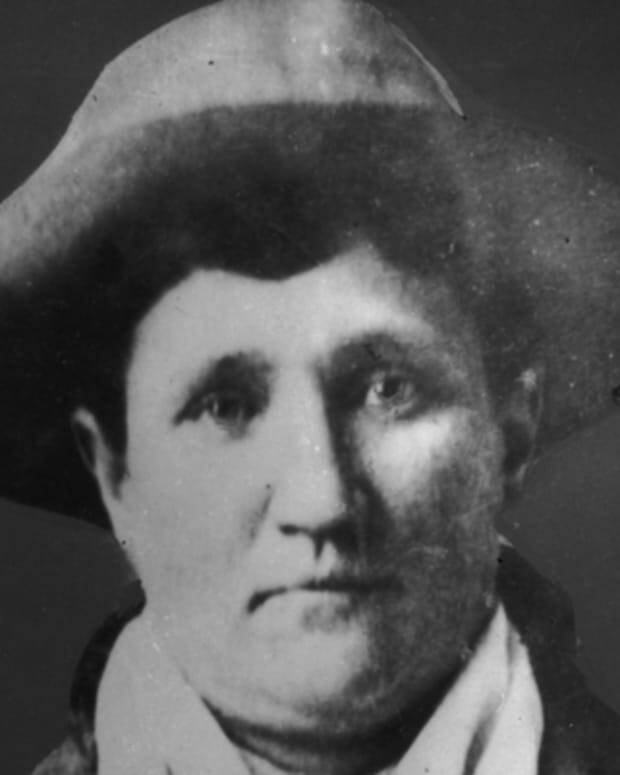 At around age 12, she was captured by an enemy tribe and sold to a French-Canadian trapper who made her his wife. In November 1804, she was invited to join the Lewis and Clark expedition as a Shoshone interpreter. After leaving the expedition, she died at Fort Manuel in what is now Kenel, South Dakota, circa 1812. 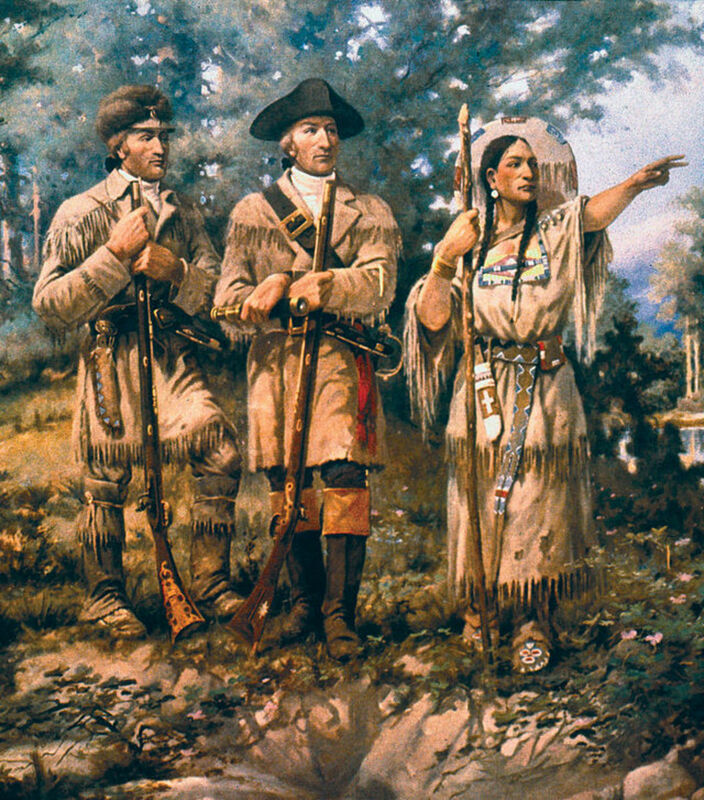 Sacagawea with Lewis and Clark at Three Forks. Born circa 1788 (some sources say 1786 and 1787) in Lemhi County, Idaho. The daughter of a Shoshone chief, Sacagawea was a Shoshone interpreter best known for serving as a member of the Lewis and Clark expedition into the American West—and for being the only woman on the famous excursion. 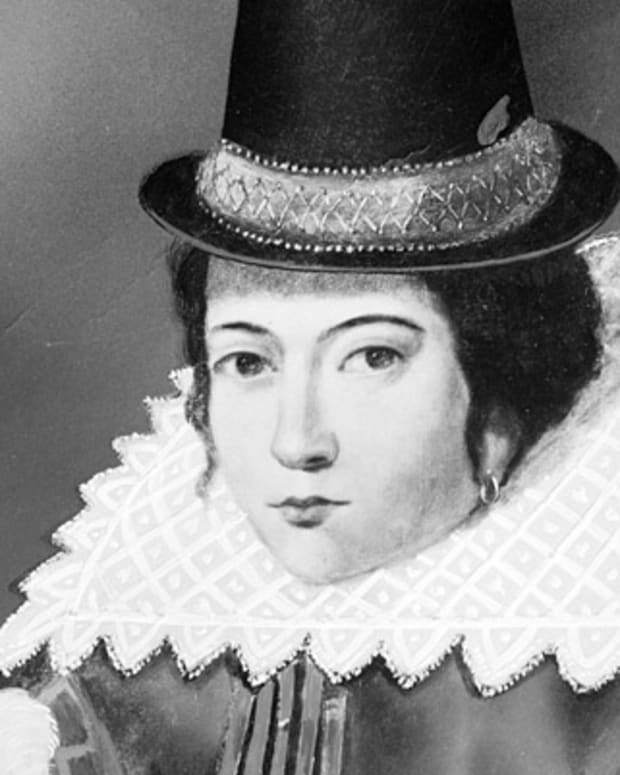 Much of Sacagawea&apos;s life is a mystery. Around the age of 12, Sacagawea was captured by Hidatsa Indians, an enemy of the Shoshones. 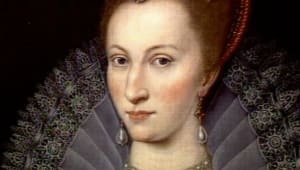 She was then sold to a French-Canadian trapper named Toussaint Charbonneau who made her one of his wives. Sacagawea and her husband lived among the Hidatsa and Mandan Indians in the upper Missouri River area (present-day North Dakota). In November 1804, an expedition led by Meriwether Lewis and William Clark entered the area. 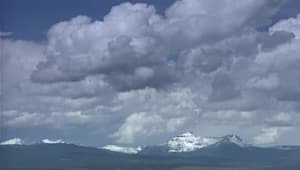 Often called the Corps of Discovery, the Lewis and Clark Expedition planned to explore newly acquired western lands and find a route to the Pacific Ocean. The group built Fort Mandan, and elected to stay there for the winter. 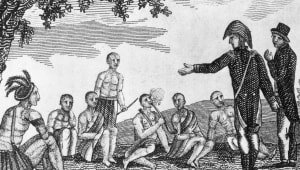 Lewis and Clark met Charbonneau and quickly hired him to serve as interpreter on their expedition. Even though she was pregnant with her first child, Sacagawea was chosen to accompany them on their mission. Lewis and Clark believed that her knowledge of the Shoshone language would help them later in their journey. 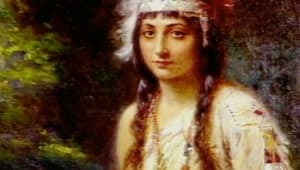 Sacagawea&apos;s name means "bird woman" or "boat puller." 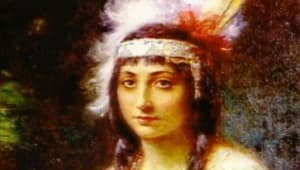 In February 1805, Sacagawea gave birth to a son named Jean Baptiste Charbonneau. Despite traveling with a newborn child during the trek, Sacagawea proved to be helpful in many ways. She was skilled at finding edible plants. When a boat she was riding on capsized, she was able to save some of its cargo, including important documents and supplies. She also served as a symbol of peace — a group traveling with a woman and a child were treated with less suspicion than a group of men alone. Sacagawea also made a miraculous discovery of her own during the trip west. When the corps encountered a group of Shoshone Indians, she soon realized that its leader was actually her brother Cameahwait. It was through her that the expedition was able to buy horses from the Shoshone to cross the Rocky Mountains. 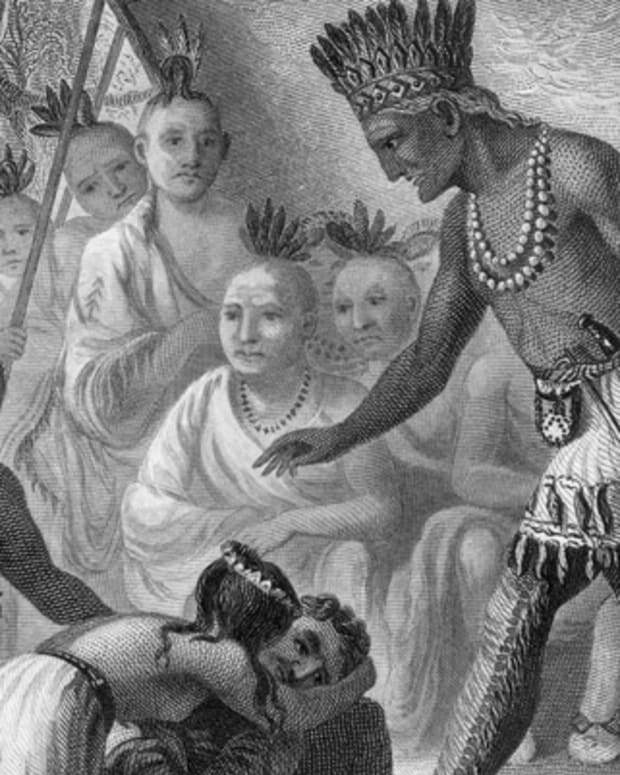 Despite this joyous family reunion, Sacagawea remained with the explorers for the trip west. 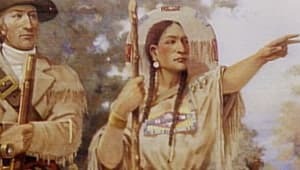 After reaching the Pacific coast in November 1805, Sacagawea was allowed to cast her vote along with the other members of the expedition for where they would build a fort to stay for the winter. They built Fort Clatsop near present-day Astoria, Oregon, and they remained there until March of the following year. Sacagawea, her husband, and her son remained with the expedition on the return trip east until they reached the Mandan villages. During the journey, Clark had become fond of her son Jean Baptiste, nicknaming him "Pomp" or "Pompey." Clark even offered to help him get an education. Once Sacagawea left the expedition, the details of her life become more elusive. In 1809, it is believed that she and her husband — or just her husband, according to some accounts — traveled with their son to St. Louis to see Clark. Pomp was left in Clark&apos;s care. Sacagawea gave birth to her second child, a daughter named Lisette, three years later. Only a few months after her daughter&apos;s arrival, she reportedly died at Fort Manuel in what is now Kenel, South Dakota, around 1812. 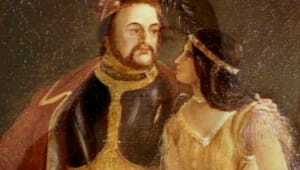 (There were stories that it was another wife of Charbonneau who died at Fort Manuel, but historians don&apos;t give much credence to this.) After Sacagawea&apos;s death, Clark looked after her two children, and ultimately took custody of them both. 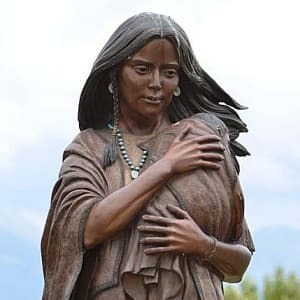 Over the years, tributes to Sacagawea and her contribution to the Corps of Discovery have come in many forms, such as statues and place-names. She was even featured on a dollar coin issued in 2000 by the U.S. Mint, although it hasn&apos;t been widely available to the general public due to its low demand. Covered in brass, the Sacagawea coin (aka the "golden dollar") was made to replace the Susan B. Anthony dollar. 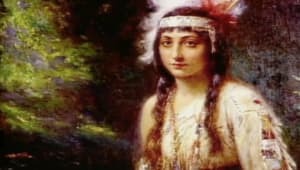 Pocahontas, later known as Rebecca Rolfe, was a Native American who assisted English colonists during their first years in Virginia. 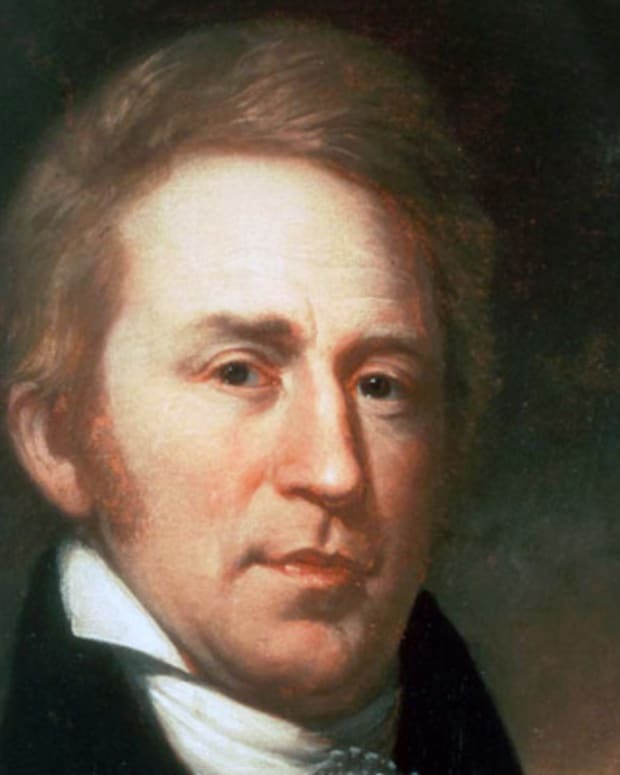 William Clark was half of the famous exploration team Lewis and Clark, who explored and mapped the unknown lands west of the Mississippi River. 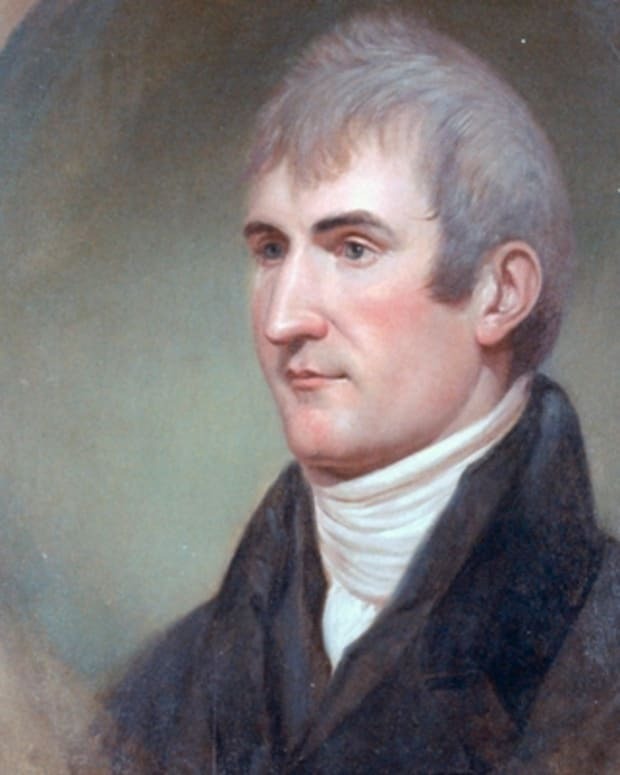 Meriwether Lewis teamed up with William Clark to form the historic expedition pairing Lewis and Clark, who together explored the lands west of the Mississippi. 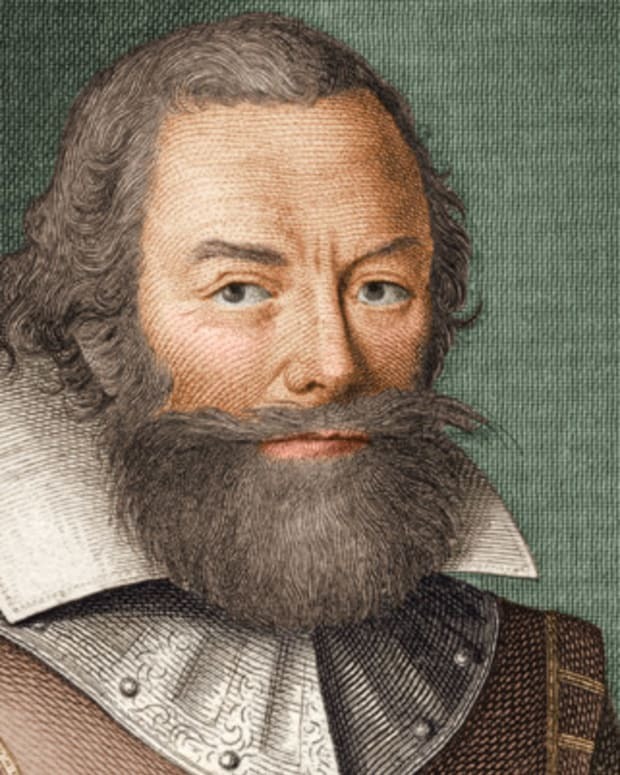 Chief Powhatan was father of Pocahontas and the ruler of the tribes that lived in the area where English colonists founded the Jamestown settlement in 1607. 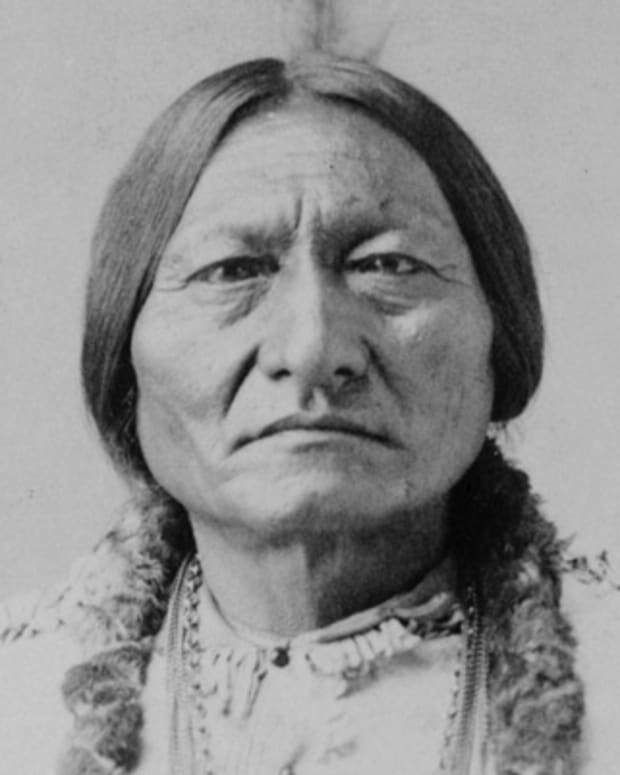 Sitting Bull was a Teton Dakota Indian chief under whom the Sioux tribes united in their struggle for survival on the North American Great Plains. 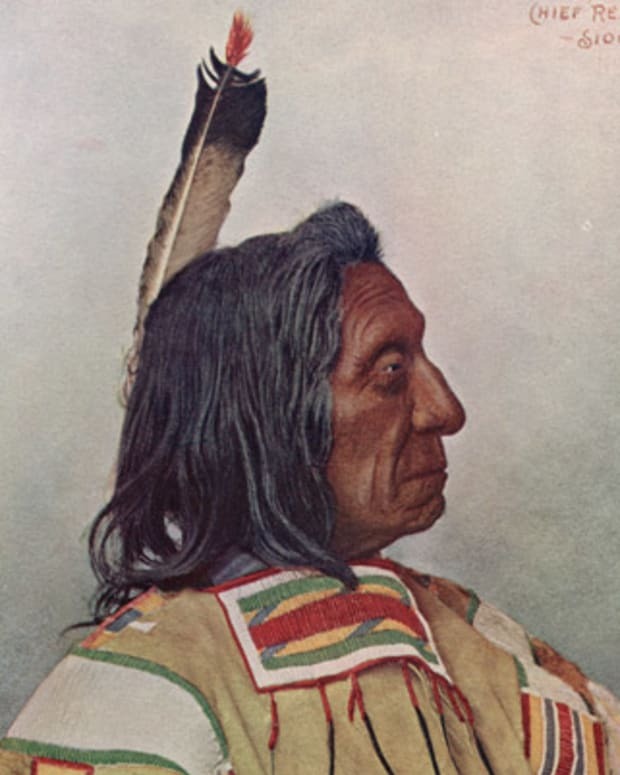 Red Cloud was a chief of the Oglala Lakota tribe. 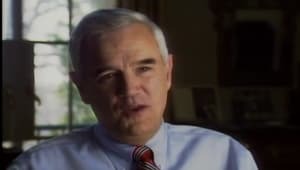 He is best known for his success in confrontations with the U.S. government. 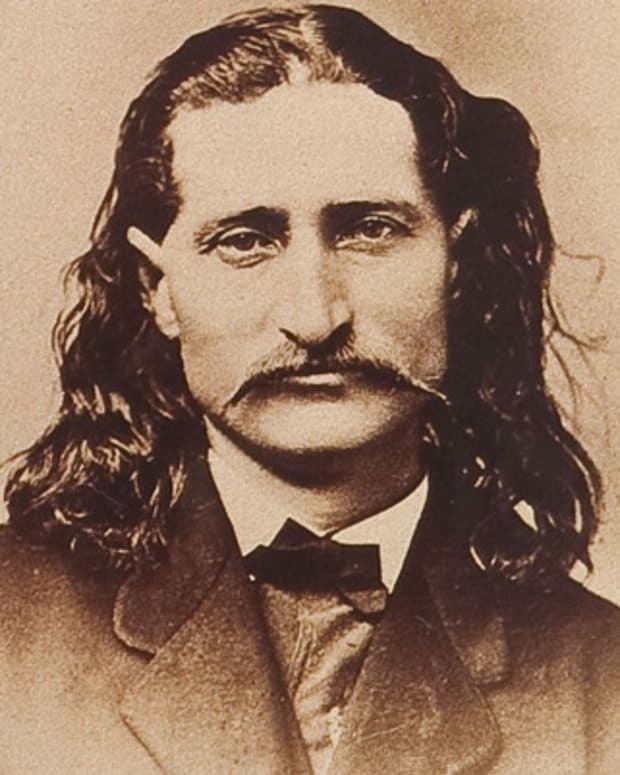 Wild Bill Hickok was an American frontiersman, army scout and lawman who helped bring order to the frontier West.